We have sad news today. 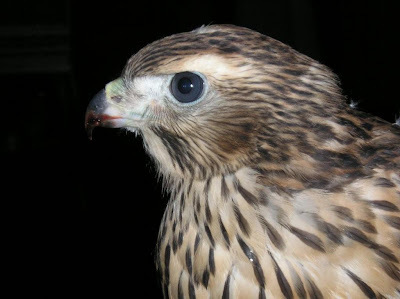 Our Northern Goshawk affectionately known as Clarence after my late father, passed away. It is a sad day when we lose member of the REGI family. Our education birds are members of the REGI team. From the day they arrive at REGI they are treated with respect and gentle affection. That is wonderful thing for all of us. Our gentle handling is rewarded when they become the wonderful, calm and inquisitive education birds. Losing an education bird and team member however is difficult for everyone at REGI. Clarence came to us when just a baby. He was captive bred by Dale and Jim Kitzman in Oak Creek, WI. 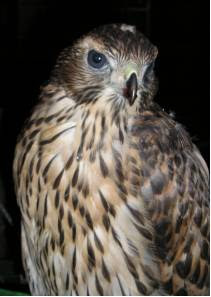 Kitzman Goshawks are well known in falconry circles and recognized as superior birds. 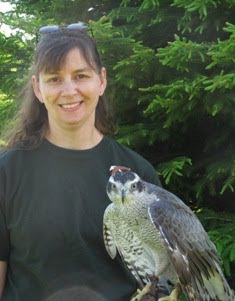 A few years back we helped the female goshawk that would one day be Clarence's mom, through West Nile Virus. We were elated to give Clarence a permanent home as an educational bird. Northern Goshawk occur naturally in our region, however they are not often seen because of their secretive ways. 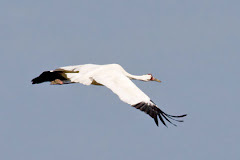 They are spectacular birds and when adults have slate gray plumage and red eyes. 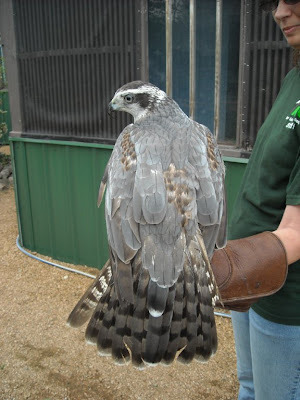 The Northern Goshawk population is in decline through-out their normal range. For those reasons being able to have this magnificent species represented in REGI public education programs was all the more important. Clarence was only three years old when he died suddenly. We were shocked to find he had died just minutes after I last saw him alive and peering from the window in his mew. Most of our education birds live long lives with us at REGI. Clarence's young age made his passing even harder to understand. The preliminary necropsy report indicated that he died of a sudden heart arrhythmia. He was in perfect feather and body condition with no other obvious sign of disease of illness. We will miss our handsome Clarence and we know our audiences will as well. Clarence was a beauty. I'm so sorry for your loss.